The bath is a ritual, with their conversations and traditions. There a man is justified, not only physical, he goes out internally clean. These bathers never brooms do not buy – they use only self-prepared. Walk in bath made with a broom, and each must have its own. From the branches of the trees to do it – everyone decides for himself. 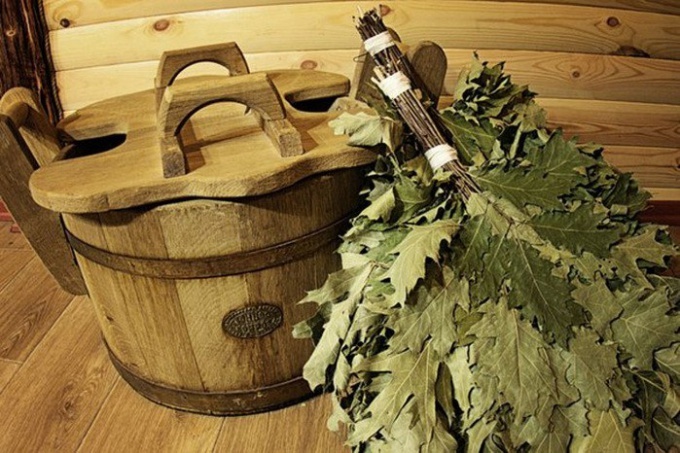 It can be oak, birch, fir, juniper, eucalyptus, Linden or even nettle. Experienced bathers are advised to use birch twigs. They are easier to get, branches from birch flexible, and the leaves are stronger, in General, on the long better yet. Harvest brooms old men suggest after the feast of Trinity. Gather them from June to September, until the sheet starts to Grubel and yellowing. Do not cut branches on the trees growing along the roads – the leaves absorb exhaust fumes and dust. Better to go a little deep into the forest. Choose young trees with flexible elastic branches and large leaves. Do not break off the whole tree at once, maybe next year you again this will come here. With a knife or secateurs cut all any branches approximately equal in length. What size broom do you need - it is better to determine immediately. Someone who likes large, massive brooms, and some, conversely, prefer to warm up a little. After collecting the required number of branches - go to knit brooms. First shears remove all leaves and branches below - this is the handle of the product. Next, fold each a broom so that he was not too wide in girth, and at the same time fluffy enough. Try to add up the branches on the type of the fan, to capture the square was great. Try the product on yourself, imagine you are in the bath and gently postehaste themselves in the foot. As we need to adjust the broom, adding additional branches, or removing the excess. If you are satisfied – tied brooms ordinary twine in two places, the tie knot on the bow. This is done because when the broom is dry, its volume will decrease accordingly, therefore, the rope will need to untie and pull tight again. Now shears, trim all the excess in the region of the handle below the broom was convenient to use. Optional trim to the desired length and the upper part of the broom. To hang each broom is individually hooking the string over the hook, you can use prepared or make your own from wire. Brooms stored in dry, shaded place, usually hanging on the hook on the outstretched twine separately from each other. In no case do not put them together - they just pouchot and become unusable. Before you use a broom in the bath, separte it for a few minutes in boiling water, so the leaves have raspalis, turned around. After that, the broom is ready for immediate use.